We love the Andaz brand of hotels. And we love visiting Scottsdale. So when the Andaz Scottsdale opened two years ago, we couldn't wait to stay there. Needless to say, we love the resort. And after our third stay there last weekend, we are already planning our next trip back. The Andaz Scottsdale is one of the newest, hippest resorts in the Scottsdale and Phoenix area. And the resort has 201 bungalow style rooms. The bungalows are modern and comfortable and make for a very enjoyable stay. And talk about that walk-in shower. You could probably fit at least 5 or 6 people in there! Don't worry, we didn't try. The Turquoise Pool at the Andaz Scottsdale is the main pool at the resort. With pool side service, music and plenty of lounge chairs, if you're anything like us, you'll spend several hours each day lounging by the pool. And did we mention the floaties?!?!? Over the course of our several stays at the Andaz Scottsdale, we've enjoyed several great meals at the Weft & Warp Art Bar & Kitchen. And while all of the food we've had at Weft & Warp is great, their breakfasts are a home run. Nick drools over those chilaquiles every single time we visit! And when you're ready for a bite to eat at the pool, the Turquoise Poolside Bar serves up quick dishes like this delicious hamburger and fries, chips and salsa, nachos and more. You can't have a pool day without drinks. And the bartenders at the Turquoise Poolside bar serve up some delicious cocktails including moscow mules, mojitos and one of their specialty drinks, the Diamondback Fizz. And floaties at the pool for your drinks....well life just doesn't get any better than that. And finally, it's hot during the summer in Scottsdale. So cool off with one of these delicious creations. The poolside bar has homemade ice cream sandwiches with a ginger molasses cookie and marshmallow ice cream. And not to sound too basic, but these things are incredible. And don't judge us, but we might have had one each day we were at the pool! We love the Andaz Scottsdale. The resort is gorgeous, the staff is top notch and the food and drinks just can't be beat. 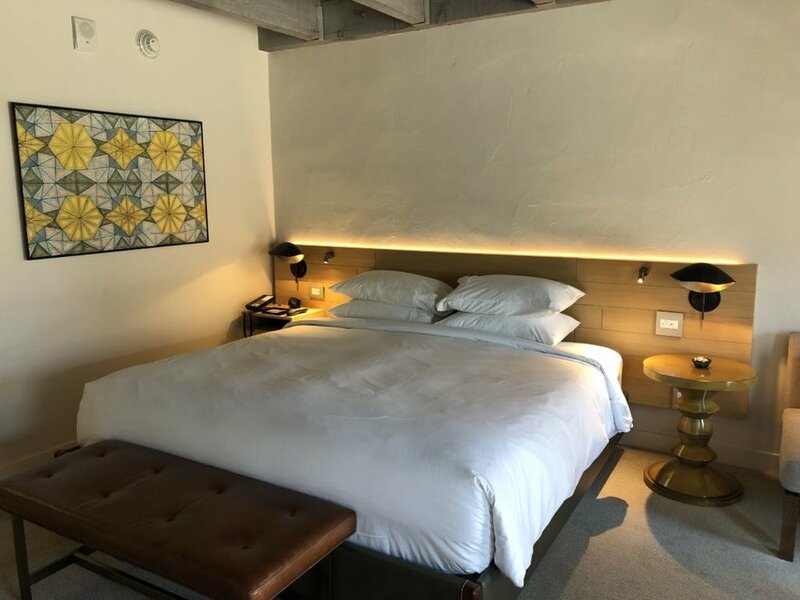 For more information or to book your stay at the Andaz Scottsdale, just visit https://scottsdale.andaz.hyatt.com/en/hotel/home.html or book through a travel agent like Virtual Travel Gurus for extra perks like room upgrades and breakfast.